A mixed bag containing approximately nine different varieties of organic vegetables. There will always be potatoes, carrots and onions as a base with an additional six items eg cauliflower, courgettes, tomatoes, butternut squash, spring greens and a cucumber. The contents will vary according to season and availability. Suitable for 2-4 people. A mixed bag of approximately twelve varieties of organic vegetables. There will always be potatoes, carrots and onions as a base with eg broccoli, leeks, courgettes, cauliflower, butternut squash, tomatoes, lettuce, rocket and mushrooms. The contents vary each week according to season and availability. Suitable for 2-4 people. 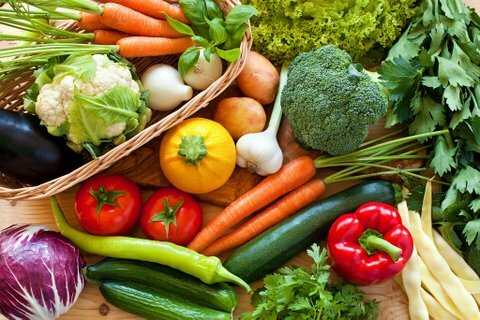 A large mixed bag of approximately nine types of organic vegetables in more generous quantities. There will always be potatoes, carrots and onions as a base with an additional six items eg cauliflower, spring greens, tomatoes, courgettes, lettuce and green beans. The contents vary each week according to season and availability. Suitable for 4-6 people. A mixed bag of approximately eight different organic vegetables. There will always be potatoes, carrots and onion as a base and an additional five items such as: spring greens, green beans, leeks, tomatoes and cucumber. The contents will vary each week according to season and availability. Suitable for 1 person. 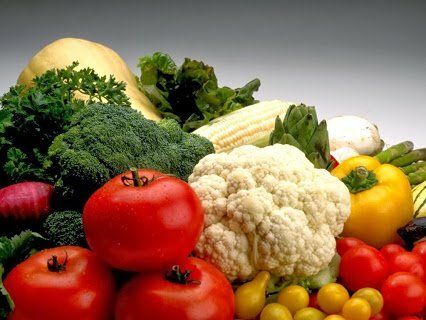 A mixed bag of approximately nine different types of vegetables which vary according to season and availability. 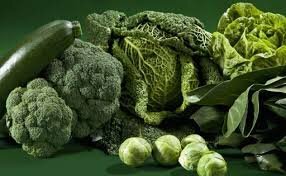 It will NEVER include: cabbage, beetroot, swede, fennel, turnip, kohl rabi, celeriac, marrow, kale, broad beans or artichokes - commonly disliked vegetables. 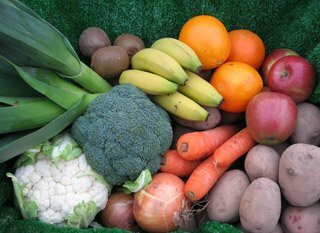 A typical bag could comprise: potatoes, carrots, onions, cauliflower, sweet potatoes, spinach, leeks, green beans and tomatoes. Suitable for 2-4 people. A mixed bag of approximately six types of Mediterranean organic vegetables. For example: red peppers, aubergine, courgettes, tomatoes, spinach and fennel. The contents will vary each week according to season and availability, Suitable for 2-4 people. A mixed salad bag which will comprise six salad items eg lettuce, tomatoes, cucumber, red peppers, avocados and bean sprouts. The contents will vary each week according to season and availability. Suitable for 2-4 people. An assorted bag of approximately nine different organic fruit and vegetables. There will always be potatoes, carrots and onions as a base, then for example: cauliflower, spring greens, courgettes, apples, bananas and plums. The contents of the bags vary each week according to season and availability. A mixed bag containing approximately six different varieties of organic vegetables. The contents will vary according to season and availability.